We are a leading Manufacturer of cardamom oil, cedarwood himalayan oil, clove oil, fennel sweet oil, hyssop oil and juniper berry oil from Kanpur, India. Backed by our flourishing business processes, we are offering the superior quality of Cardamom Oil. The offered products are highly effective in relieving stress when used in aroma-therapy. The overall health of the user improves with regular use of this product topically. It Blends Well With Alcohol, Water And Cardamom Oil. Myrcene (27%), A-Terpineol (45%), Limonene (8%), B-Phellandrene (3%), Menthone (6%), 1,8-Cineol (2%), Smaller Amounts Of Heptanes And Sabinene (2%). Cardamom Medicinal Uses Range From Relieving Stomach Dyspepsia, Increasing Appetite, Soothing The Mucus Membranes, Relieving Gas And Heartburn, And Eliminating Bad Breath. 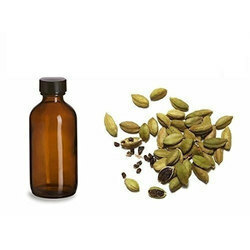 Cardamom Extract Also Contains Volatile Oils That Provide Health Benefits Like In Aiding Digestion & Improving Metabolism. For Its Aromatic Fragrance It Is Also Used For Flavoring Foods As Well As In Aroma Therapy. 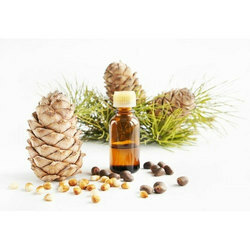 Reinforced by skilled members, our entity is indulged in offering Cedarwood Himalayan Oil. Used in various perfume-based and aromatherapy for improving the overall health of the users. As a quality centric name, the quality of these products are always maintained at our end. It Works Well With Chamomile, Rosemary And Eucalyptus. It Is Well Recognized For Its Aromatic Qualities And Used As Antiseptic, Antiseborrheic, Anti Putrescent, Aphrodesiac, Diuretic, Astringent, Expectorant, Mucilytic, Fungicidal, Sedative (Nervous), Tonic And Stimulant (Circulatory). It Also Has Insecticidal & Antifungal Properties And Helps In Controlling Fungal Deterioration Of Spices During Storage. We have marked a special niche in the global market by offering superior quality Clove Oil. Extracted by using the process of hydro distillation, it is used to improve the health of the user when used in aroma-therapy. Due to its enhanced shelf life and purity, it can be used and stored for longer period of time. Basil, benzoin, cinnamon, lavender, ginger, sandalwood and clary sage. 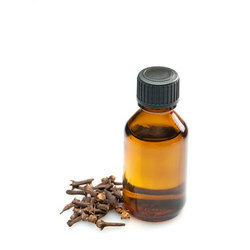 Clove oil can be used for acne, bruises, burns and cuts, keeping infection at bay and as a pain reliever. It helps in toothache, mouth sores, rheumatism and arthritis. It is also of use for skin problems - especially for skin sores and leg ulcers and as an insect repellent. Relying on our huge domain experience in current domain, we offer the premium quality of Fennel Sweet Oil. 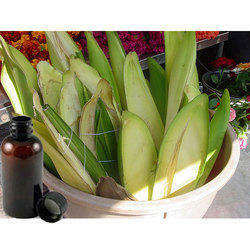 The offered products are known for their balancing and relaxing makes it used in aromatherapy industry. In addition to this, it can be added to creams & lotions instead of water. Limonene, a-pinene, trans-anethole (70 to 90%), methyl chavicol. Its balancing, normalizing, soothing, gently clarifying, relaxing and calming nature makes it used in aromatherapy industry. It can be added to creams & lotions instead of water, or can be employed as an aromatic face and body spritz. 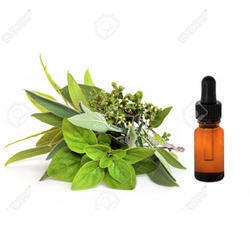 Our organization set a unique position in the market by providing a wide gamut of Hyssop Oil in the market. This offered oil is used for immune system stimulation, fluid level balancing, respiratory system aid and aiding skin problems. 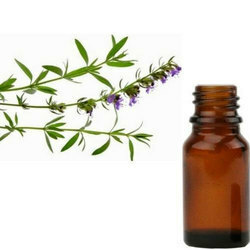 We are offering this hyssop oil in safe packing options to retain its purity for long. Lavender, sage, bay leaf, clary sage, geranium, myrtle, rosemary, camphor, citrus oils. Pinocamphone (50%), ß-pinene (14%), iso-pinocamphone. Hyssop floral water is popular for its various therapeutic properties. It is used for immune system stimulation, fluid level balancing, respiratory system aid & aiding skin problems. 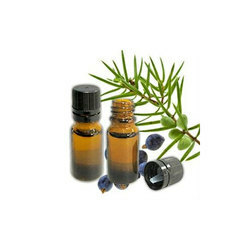 Backed by well qualified and experienced professionals, we are engaged in offering Juniper Berry Oil. CO2-extraction is used for extraction of this product in our modern manufacturing unit, which is equipped with latest machinery. It can be stored and used for longer period of time due to its longer and enhanced shelf life. Lavender, lavandin, pine, clary sage, cypress, vetiver, sandalwood, rosemary, fir needle, basil, fennel. The primary chemical constituents include essential oil (cineole, camphene, myrcene, terpinene, pinene), sesquiterpenes (elemene, cadinene), flavonoids, tannins, podophyllotoxin, glycosides and vitamin C.
Juniper berries are used to provide flavour to meat dishes, in treating infections, especially within urinary tract, bladder, kidneys & prostate. Its antiseptic properties also help in removing waste & acidic toxins from body, thus stimulating fighting action against bacterial & yeast infections. Reinforced by skilled members, our entity is indulged in offering Kewra / Kewda / Keora Absolute Oil. Known for its longer shelf life and high purity, it has a prominent usage in pharmaceutical industry. In addition to this, the offered products are also used as a flavoring agent in various food preparations. Kevada is having antiviral, anti-allergen, anti-inflammatory, and anti-oxidant properties due to which it has a prominent usage in pharmaceutical industry. Also, it is used as a flavoring agent in various food preparations. Motivated to attain maximum client approval, we offer the best quality of superior quality Lemon Grass Oil. 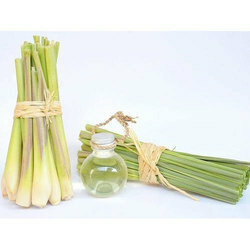 The colorless clear liquid with characteristic lemongrass odor is extracted by using hydro distillation process. It is used as pesticide and preservative. lemongrass, lemon grass, barbed wire grass, citronella grass, silky heads, cha de Dartigalongue, Hierba Luisa or Gavati Chaha, fever grass. Shrimp, chilli pepper, cilantro, chicken, basil, kaffir lime, crab and scallops. Some of the constituents of Lemongrass include essential oils (including terpineol, myrcene, citral (its most active ingredient), citronellol, geraniol and limonene, among others), alpha-pinene, beta-sitosterol, coumarin, tannin and ursolic acid. The extract is used as an herb in Asian cuisine. Some of the common usage includes in teas, soups, curries, poultry, fish, seafood. Lemon Grass Oil is also used as pesticide and preservative especially for old manuscripts as it has anti-fungal properties. In order to satisfy the variegated demands of our valuable clients, we are offering them a perfect range of Lime Oil. This offered oil finds application in aromatherapy and acts as a refreshing, equalizing, and cheering vector for human souls. 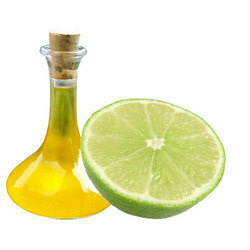 Lime oil finds application in aromatherapy and acts as a equalizing, refreshing and cheering vector for human sould. 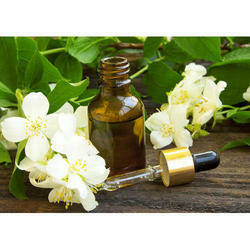 Counted as first among the best, we offer the best quality of Jasmine Grandiflorum Oil. Rendered by us at reliable prices, the sensual, soothing and calming aroma coming from the oil also helps in promoting feeling of love and peace. It is processed by using modern machinery. Spanish jasmine, Catalonian jasmine , Royal jasmine. Benzyl acetate (20%), linalool, benzyl benzoate (20%), methyl jasmonate, phytol. 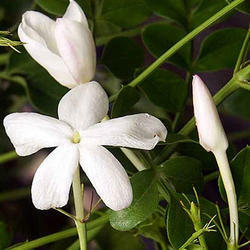 Jasmine Grandiflorum Absolute has in it aphrodisiac properties. The sensual, soothing and calming aroma coming from the oil also helps in promoting feeling of love and peace. 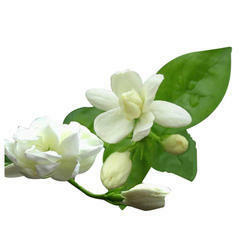 Keeping the track of latest happening of this domain, we render the superior quality of Jasmine Sambac Oil. Hydro distillation method is used for extraction of this oil. In addition to this, it is used in aroma-therapy and other perfume based applications. This Jasmine Sambac Attar assists people who want to undertake spiritual journey and discover intimate aspect of their relationships. Further, it also finds application as a flavouring agent as well as a base material for perfumes/perfumery based products. Backed by well qualified and experienced professionals, we are engaged in offering Mogra Oil. It is extensively used in perfumery. In addition to this, it extensively used for making cosmetics. These are available with us at reasonable price range and food grade packaging. It finds wide application in perfumery. It can also be used to fragrance exotic skin care formulations. Being a customer oriented organization, we are highly engaged in providing a wide range of Aniseed Floral Water. 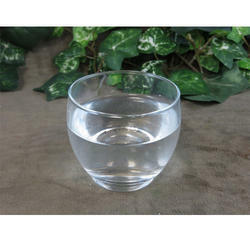 Our manufactured floral water is extensively used in cosmetics, food, and beverage based products. We offer our floral water in different packaging options and budgets. It Has Trans-Anethole That Makes Up To 90% Of The Oil. Other Components Of Taste & Smell Of Anise Include Anise Aldehyde, Estragol (Iso-Anethole), Anise Alcohol, Pinene, Limonene, P-Methoxy-Acetophenone And Gamma-Himachalene (2%). It is a aromatherapy quality, additive free, undiluted therapeutic essential oil. The pure extract can be used for adding flavour to candies, specialty dishes, beverages, baked goods and desserts. Its distinctive taste like black liquorice also makes it work great in cakes & cookies, vegetable dishes and in lamb & beef stews. Relying on our huge domain experience in current domain, we offer the high quality of Champa Mangolia Floral Water. The offered products are used in the cosmetic industry. It is widely used in cosmetic products for treatment dry, inflamed or irritated skin. Blends Well With Almost All Essential Oils. Champa Oil Has Anti-Bacterial And Anti- Inflammatory Properties Due To The Presence Of The Active Compounds Of Magnolol And Honokiol. Owing To These Properties, It Is Added To Formulations For Topical Creams And Lotions. 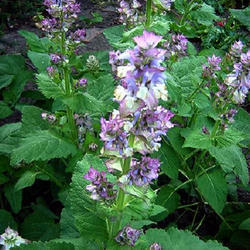 Reinforced by skilled members, our entity is indulged in offering the premium quality of Clary Sage Floral Water. The offered products are widely in cosmetic products for skin related problems. It is reddish brown transparent liquid with floral, exotic & warm aroma. linalyl acetate, linalol, pinene, myrcene, saponine and phellandrene. These are used as an excellent linen spray for aromatic purposes as well as delivers therapeutic benefits. 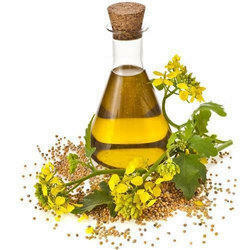 Counted as first among the best, we offer the best quality of Angelica Oil. 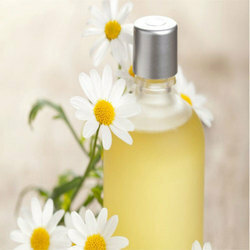 Made from pure and natural ingredients, the offered products find wide applications of these products in aroma-therapy. As a quality centric name, the quality of these products is always maintained as per the industry laid norms and regulations. 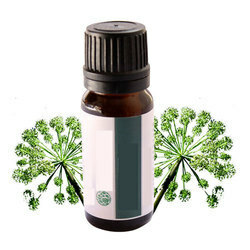 Angelica Floral Water Can Be Added To Creams & Lotions. It Can Also Be Added To A Bath In Place Of Normal Water And Can Be Used As A Deodorant, Facial Spritzer And As A Cooling Agent In Saunas. Camphene, A-Pinene, B-Pinene, A-Phellandrene, Sabinene, Myrcene, B-Phellandrene, Limonene, Cis-Ocimene, P-Cymene, Trans-Ocimene, Terpinolene, Bornyl Acetate, Copaene, Terpinen-4-Ol, B-Bisabolene, Cryptone, Rho-Cymen-8-Ol, Tridecanolide, Humulene Oxide And Pentadecanolide. Angelica Is Used As A Flavouring Agent In Culinary Applications. It Also Has Medicinal Use, Topical/ Aromatic Use As Well As Use In Therapeutic Practices, For Its Properties Like Antispasmodic, Depurative, Carminative, Digestive, Diaphoretic, Hepatic, Diuretic, Nervine, Febrifuge, Stimulant, Stomachic And Tonic. Keeping the track of latest happening of this domain, we render the superior quality of Cedar Leaf Thuja Oil. Available with food grade packaging, it improves the overall health of the users when used in aroma-therapy. The offered products can be purchased from us at reasonable prices. Thuja, Thuja Occidentalis, American Arbor Vitae, Bati Mazizi, Tree Of Life, Eastern Arborvitae, Hackmatack, False White Cedar, Mazi Aghaji Mazu, Po, Northern White Cedar, Umur Aghaji, Yellow Cedar, Western Arbor Vitae, Swamp Cedar, Arborvitae, American Arborvitae, White Cedar, And Canoewood. It Blends Well With Armoise, Citrus Oils, Cedarwood, Lavender, Pine Needle. Pinene, Thujone (Toxic), Caryophyllene, Tannin, Pinipicrin And Resin. 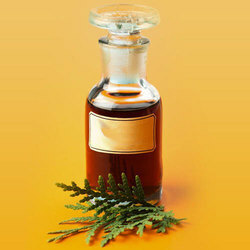 Cedar Leaf Oil Finds Extensive Usage In Pharmaceutical Products Due To Its Therapeutic Properties. Further, As It Has Pleasing Aromatic Properties, It Is Also Used In Perfumes, Cosmetics, Toiletries, Soaps & Detergents. 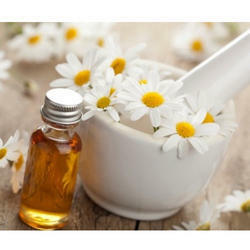 Motivated to attain maximum client approval, we offer the best quality of superior quality Chamomile German Hydrosol Oil. It is used for aroma-therapy and is processed by using hydro distillation processes. In addition to this, it is available with us with food grade packaging. Hungarian Chamomile, Wild Chamomile And Scented Mayweed. Jojoba Oil, Bergamot, Lavender, Clary Sage, Geranium, Tea Tree, Jasmine, Grapefruit, Lemon, Rose And Ylang Ylang. 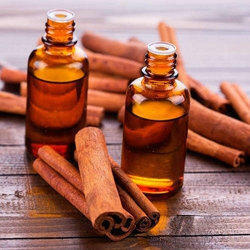 Backed by well qualified and experienced professionals, we are engaged in offering Cinnamon Oil. Regular use of this product improves the overall health of the users. In order to ensure high standard and purity of this product, we make use of hydro distillation technique for extraction of these products. Appreciated as the most recommended company, we are engaged in offering Cypress Water Oil. The offered products are Colorless clear liquid with characteristic cypress odor. It is used for treating broken veins, oily and congested skin. The oils blends with pine, marjoram, sandalwood, rosemary, frankincense. Being a fast-moving organization, we are highly instrumental in providing Eucalyptus Hydrosol Oil. Available with us with food grade packaging, the offered product is colorless clear liquid with characteristic eucalyptus odor. In order to ensure high standards of quality, it is processed in accordance to industry laid norms. Eucalyptus, southern blue gum, blue gum, tasmanian blue gum. Cedarwood, lemon, lavender, rosemary, marjoram, thyme. A-pinene (10 to 25%), 1,8-cineole (50 to 70%), p-cymene, limonene. 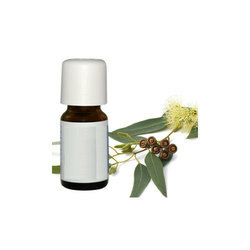 Eucalyptus floral water has a powerful antiseptic nature and finds wide application in baths & massage during cold season. Eucalyptus leaf water extract is also very effective against airborne viruses & bacteria. Additionally, it can be used as inhalation for colds, sinusitis & general catarrh. 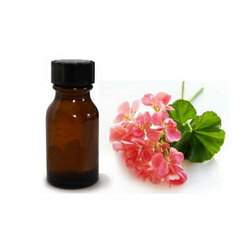 Counted as first among the best, we offer the best quality of Geranium Hydrosol Oil. The offered products are used to tone, balance and rehydrate all types of skins. In order to ensure high standards of quality, it is tested on various quality assurance procedures. Geraniol (7 to 20%), linalool (5 to 15%), citronellol (20 to 40%), menthone, 10-epi-eudesmol (Egypt, Morocco, Algeria), geranyl formate, guaiadiene-6,9 (China). It is used as a facial spritz for refreshing both skin as well as mind. Backed by our flourishing business processes, we are offering Hedychium Oil. It is precisely extracted by a team of qualified and experienced professionals through steam distilled method at our modern infrastructure. In addition to this, it has a strong aroma that has medium consistency. Terpinen-4-ol (40.5%) , sabinene (9.9%), p-cymene (8.5%) , limonene (6.0%), [gamma]-pinene (5.6%) , [alpha]-terpinene (4.5%) ,[alpha]-terpineol (2.2%). It acts as an anti-nausea agent and has carminative properties. 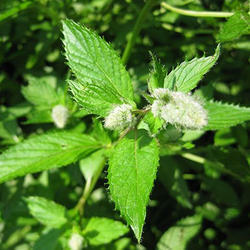 Slightly tranquilizing in nature, it is also used as tonic, antibiotic, anti-asthmatic, anti-inflammatory and stimulant. 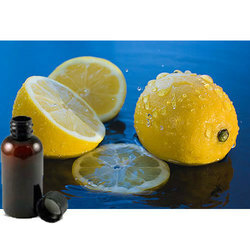 Keeping the track of latest happening of this domain, we render the superior quality of Lemon Hydrosol Floral Water Oil. It is extracted by using hydro distillation process under the under the supervision of qualified and experienced professionals who hold expertise in their area of work. In addition to this, it finds application in aromatherapy. Sandalwood, cypress, geranium, lavender, jasmine, roman chamomile, neroli, eucalyptus, ylang ylang, rose, bergamot, lime, grapefruit. Limonene (70 to 90%), citral (2 to 6%). 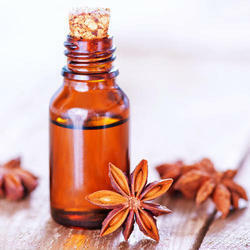 It finds application in aromatherapy thus helping in the Upliftment, energizing, refreshing and cheering of human mood. We have marked a special niche in the global market by offering superior quality Nag Champa Oil. 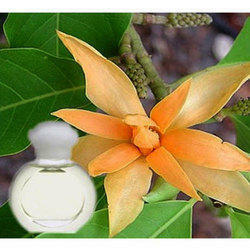 The colorless oil with flowery sweet, lingering and slightly heady odor is highly demanded in aromatherapy. In addition to this, it is available with us at reasonable prices. Golden Champa, Sembagam , Nag Champa Chembakam. Benzy Acetate, Linalool, Benzyl Benzoate, Champacene (lactone), Iso Eugenol & Methyl Eugenol. It is frequently found in form of incense sticks & cones. Other than this, it is also used in soaps, perfume oils, scented candles, scented lubes, and massage oil. 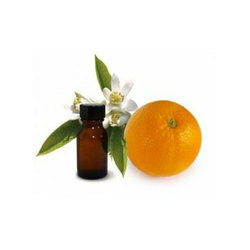 Relying on our huge domain experience in current domain, we offer the premium quality of Neroli Oil. In order to process the offered products as per industry laid norms and regulations, our team of experienced professionals make use of hydro distillation processes. It extensively demanded in the aromatherapy based applications. 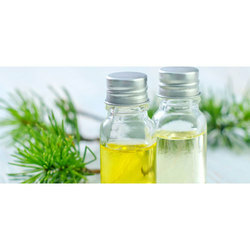 ß-pinene (7 to 17%), linalool (28 to 45%), limonene (9 to 18%), linalyl acetate (3 to 15%), geraniol, a-terpineol, beta (E)-ocimene. 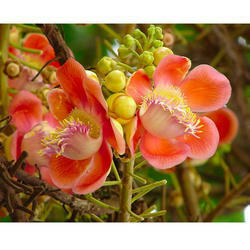 It is used in aromatherapy based applications as it has a relaxing, soothing, sensual and exotic aroma. 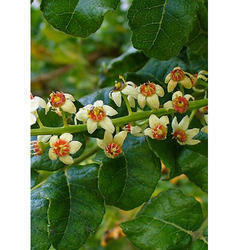 Being a fast-moving organization, we are highly instrumental in providing Frankincense Hydrosol Oil. The offered products can be stored for longer duration of time due to its longer shelf life. Regular use of the offered products improves overall health of the skin of the user. Sandalwood, geranium, pine, lavender, bergamot, neroli, orange, cinnamon, basil, camphor, jasmine, vetiver, myrrh, rose. Limonene (6%), a-pinene (30%), phellandrene (5%). Frankincense Hydrosol water is an excellent tonic & skin toner that makes it ideal for mature skins. 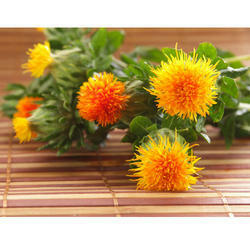 It is also claimed to have rejuvenating qualities and is used in bath, shampoos & moisturizers . 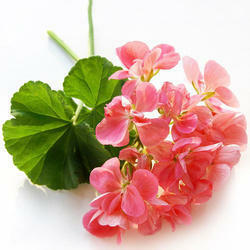 Backed by our flourishing business processes, we are offering Geranium Hydrosol Floral Water. Rendered by us at affordable prices, it is used in aroma-therapy. Being a quality focused name, the quality of the offered product is always maintained at our end. 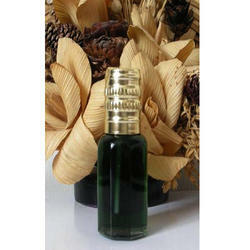 We are an eminent name in this domain, engaged in offering Khus Vetiver Oil. 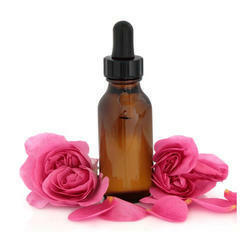 The offered products are highly demanded in various aromatherapy applications. In addition to this, it is used for adding a pleasant aroma in the house which is commonly described as "cool" and "refreshing". Khus Oil, Benzoic Acid, Furfurol, Vetivene, Terpinen-4-ol, 5-epiprezizane, Khusimeme, A-murolene, Khusimone, Calacorene, Beta-Humulene, a-longipinine. 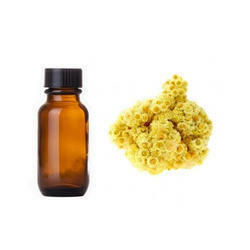 It is mainly used in Perfumery and aromatherapy applications. It also has excellent fixative properties making them used widely in high end perfumes. Further, it is also used in traditional medicines as well as for adding a pleasant aroma in the house which is commonly described as "cool" and "refreshing". Solubility Insoluble in alcohol and oils. Soluble in water. Motivated to attain maximum client approval, we offer the best quality of superior quality Lavender Hydrosol Oil. For the purpose of extraction of the offered products, we make use of hydro distillation technique. 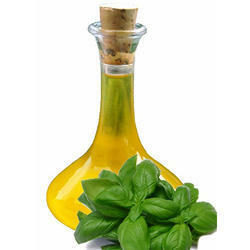 Used in aromatic applications, it is available with us at affordable prices. 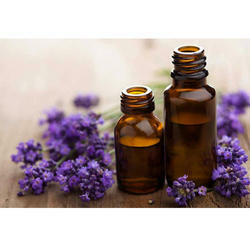 As an "all-purpose" essential Oil, Lavender hydrosol is used for providing gentle balancing for all skin types as well as help in summer's heat, soothing sunburns and healing irritation. It also helps in gently toning oily, dry & mature skin by cleansing it gently and safely. Hydrosol present in the oil also makes it a wonderful ingredient for face masks (All skin types) as well as a great mister to ease sunburn/ windburn. 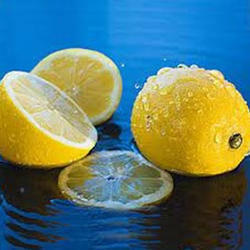 Appreciated as the most recommended company, we are engaged in offering Lemon Hydrosol Oil. 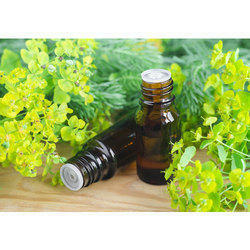 When used in aromatherapy, it helps in the energizing, refreshing and cheering of human mood. It is available with us at cost effective prices. Relying on our huge domain experience in current domain, we offer the premium quality of Melissa Floral Water Oil. Processed by using modern tools and equipment, it is used for anti-inflammatory compresses in irritated skin. In addition to this, the offered product is used for nourishing the face skin and as a stabilizer for hair. Lime oil due to its special properties acts as a toning lotion. It is also used for anti-inflammatory compresses in irritated skin, frictions for nourishing the face skin and as a stabilizer for hair. 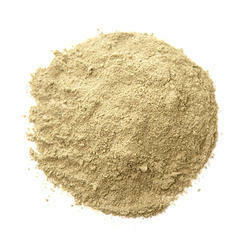 We have marked a special niche in the global market by offering superior quality Mitti Baked Earth Powder. It is applied to the body of the pregnant woman in the months prior to childbirth. By following total quality management, the quality of these products is always maintained at our end. It is loved by the woman of northern India and applied to the body in the months prior to childbirth, as it relaxes them. It is also believed to help the soul of the unborn child to adjust to life in this world. We are a trustworthy organization in the market for providing a wide gamut of Saffron Oil to the clients. This oil has immense health and beauty benefits and one of the important ingredients in many of the traditional medicines. In addition to this, this is offered at very reasonable rates. We are a leading organization for offering an extensive array of Thyme white Oil to our esteemed clients. The offered assortment of oil is prepared using only high-quality ingredients. Apart from this, the offered products are very popular in the industry for its effectiveness. Backed by our flourishing business processes, we are offering the superior quality of Chamomile German oil. Due to its aroma and purity, it is used in aromatherapy. In addition to this, it is processed by using modern hydro distillation techniques. Since the inception of our company, we render the superior grade of Eucalyptus Hydrosol Floral Water. Used in various aromatherapy purposes, the offered products are extracted by hydro distillation process. It is available with us with food grade packaging. Known as first among the best, we offer the superior quality of Nag Champa Oil. Processed by using hydro distillation technique, it is used in aroma-therapy. As a quality focused name, the quality of these products is always maintained in accordance to international standards. 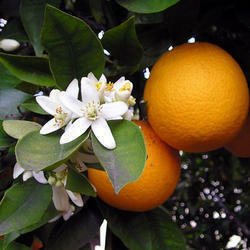 Backed by well qualified and experienced professionals, we are engaged in offering Orange Blossom Hydrosol Floral Water. It is used in various perfume and aromatherapy applications. Known for its purity and high effectiveness, the offered products are available with us with food grade packaging. Reinforced by skilled members, our entity is indulged in offering Parsley Floral Water. Extracted from Petroselinum sativum using the hydro distillation purposes, it is available with us at reasonable prices. In addition to this, the quality of these products is always maintained at our end in accordance to international standards. 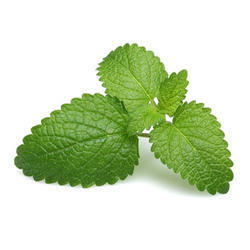 Being a fast-moving organization, we are highly instrumental in providing Peppermint Floral Water. Hydro distillation is used for the purpose of extraction of the offered products. In addition to this, it helps in reducing mental fatigue, thereby improving concentration. Backed by our rich exposure in this domain, we are dedicatedly affianced in presenting the wide array of Rose Otto Hydrosol to our valuable clients. This offered range is prepared from rose flowers. Apart from this, these are offered at very reasonable rates. 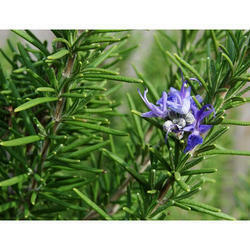 We are offering a quality assured collection of Rosemary Hydrosol Floral Water. These are checked by quality inspectors to deliver only effective range at clients end. In addition to this, we are offering this in safe packing options to retain its purity for long. Looking for Pure Floral Water ?